The 2015 New York Comic Con kicked off at the Jacob Javits Convention Center on Thursday and despite the Anime scene remaining in the shadows of silly YouTube celebs that are irrelevant to the world of comics or graphic novels, Crunchyroll had plenty to show to a packed room of Anime fans. After reminding Anime fans of the benefits to having Crunchyroll premium (no commercials, discounts in the Crunchyroll store, free shipping, streaming on all of your devices, unlimited manga, etc. ), the panel facilitator mentioned that Crunchyroll has over 1500 episodes – it would take longer than any season of sports to watch everything on the site. It is also important to note that the site is available in 180 countries and they recently added Italian to the list of languages for subtitles. They also have a new podcast called The Crunchy Cast which you can check out on iTunes. 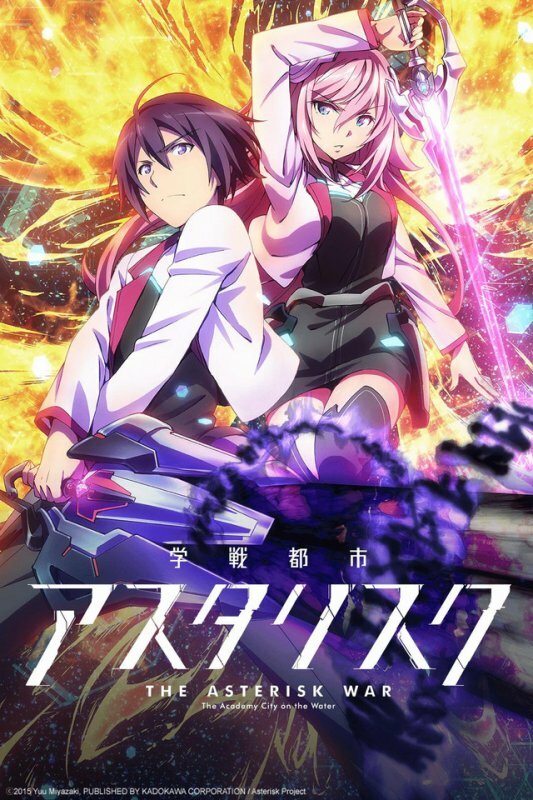 The audience was treated to clips from The Asterisk War, which streams on Saturdays at 9am EST. This show is brought to you by the team who did Sword Art Online. This show is really pretty and similar to SAO in that people are warring with each other and trying to rebuild their world at the same time. The Perfect Insider, which aired the same day as this panel, is also another new and popular series that the Crunchyroll team is excited about. They showed a clip of the show, revealing dark character design and epic music. It airs on Thursdays at 2pm EST. Crunchyroll announced the second season of Haikyuu!! which is a sports anime that doesn’t necessarily cater to just sports fans. The animation is beautiful and the characters develop and grow over the course of the series. It is easy to get hooked to this show even if you don’t care about athletes. You can watch this on Saturdays at 2pm EST. The audience had the opportunity to see a trailer for G-Tekketsu, a new Gundam series that promises to please fans and recruit fresh blood. The premier was today, October 11th, at 4:30pm which means NYCC attendees had to make a tough choice between attending the con or finding a good place to catch the premier. Crunchyroll followed this announcement up with Anti-Magic Academy, a wacky series about people who are being eliminated who have special powers. The animation is top notch and fans of magical shows will want to catch this. It airs on Wednesdays at 1:45pm EST. The first episode aired this week so it’s definitely not too late to jump on board with this series. 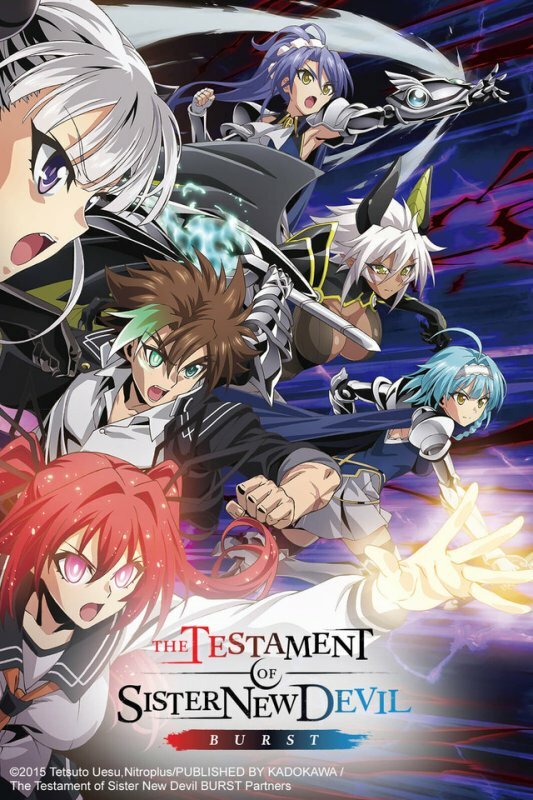 The last anime they discussed at the panel was Testament of New Sister New Devil Burst, which started on Crunchyroll October 9th. It airs on Fridays at 2:15pm EST. This story is about two sisters, Mio and Maria who are actually the new Demon Lord and a succubus. The first episode is already up so you should definitely check it out since the first season was extremely popular. After showing just a handful of shows from the massive amount of simulcasts starting this season, Crunchyroll made some manga announcements that are just bound to please. Arakawa Under the Bridge is coming to Crunchyroll this month. The first three volumes should be up soon. The anime is already on Crunchyroll and it’s a really cute series about a group of people living along side a river. It’s a cheerful and funny series that is great to watch on a sad rainy day. The next manga announcement was Cuticle Detective Inaba. It’s about a detective with a hair fetish and it’s just really funny. The first few volumes should be up by the end of October. Ladies Versus Butlers is coming to Crunchyroll’s manga selection. The first four dubbed episodes are available for streaming, if you want to watch and read the series together. This is a harem style anime with a ton of attractive girls surrounding a guy. Not too much needs to be described here. This is a love it or leave it genre. Last but not least, Gugure Kokkurisan‘s first three volumes are headed to Crunchyroll. This is another anime you should watch if you want a pick-me-up. It’s another little girl, hot guy type of anime which a lot of people are into. Now you can read the manga at the same time. If you aren’t watching anime or reading manga on Crunchyroll, I seriously don’t know what is wrong with you. I personally don’t even have a subscription to anything else except Crunchyroll. I don’t watch Netflix, I don’t really use my Amazon Prime account for tv or movies – but you can count on it that I utilize my Crunchyroll account. Now pardon me while I go add some more cute stuff to my queue list.